This beautiful end unit condo features floor to ceiling windows with a massive 750 square foot balcony that wraps around the entire condo. 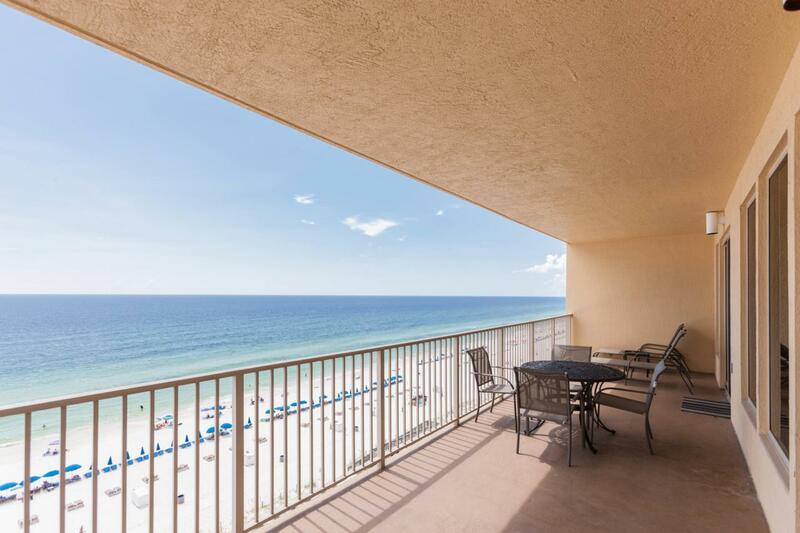 The panoramic views of the Gulf of Mexico can be seen from the living room, master bedroom, kitchen, and dining area. 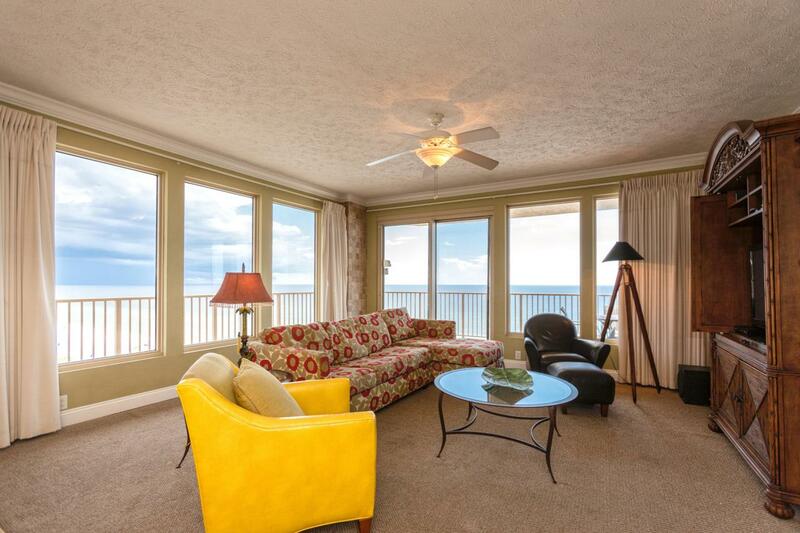 Both guest bedrooms have balcony access as well. 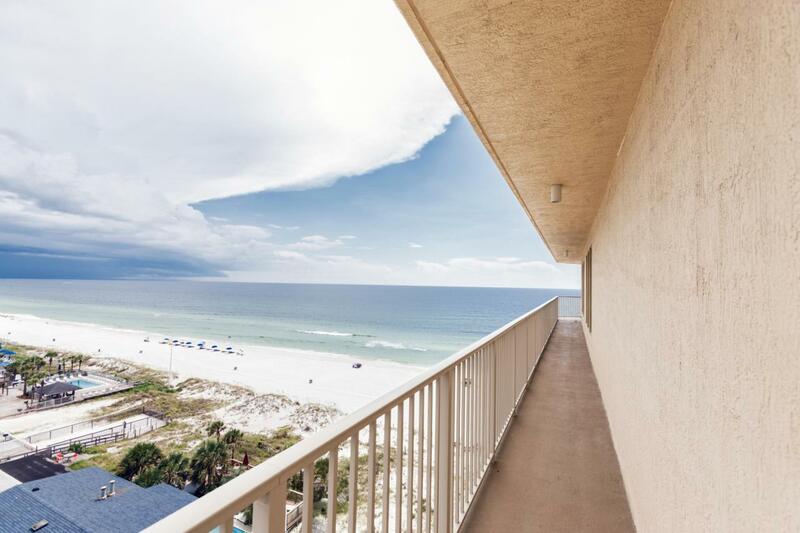 The condo is turn key and being sold fully furnished. The oversized master bedroom has a private bath with double vanities and a walk-in closet. There are two additional spacious bedrooms with balcony access and a bunk room. This open floor plan is great for entertaining. The kitchen features solid surface countertops, refrigerator with ice-maker, dishwasher, built-in microwave with self-cleaning oven.Amenities include two gulf front pools, kiddie pool, two hot tubs, tiki bar andpavilion, gulf front fitness center, owners lounge, gated entry with covered parking garage. Unit 801 has a premium parking space close to the main entrance. Buyer to verify all information. 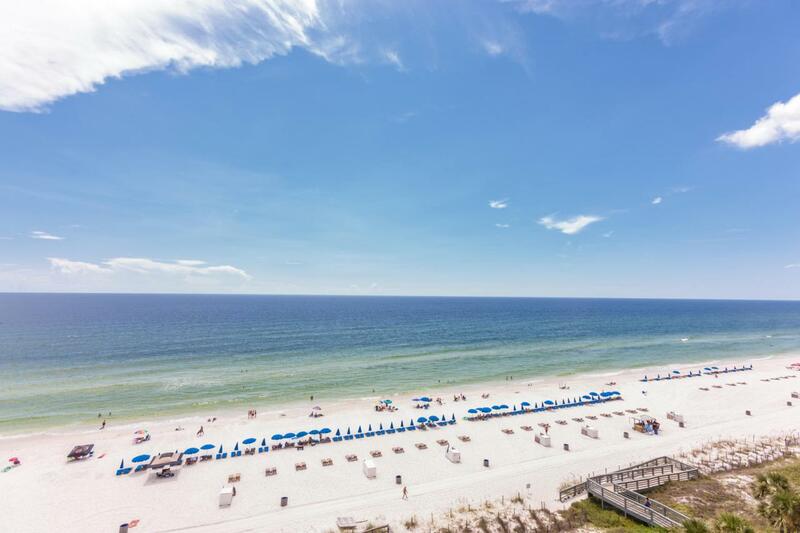 © 2019 Emerald Coast Association of Realtors MLS. All rights reserved. IDX information is provided exclusively for consumers' personal, non-commercial use and may not be used for any purpose other than to identify prospective properties consumers may be interested in purchasing. Information is deemed reliable but is not guaranteed accurate by the MLS or Keller Williams Realty Emerald Coast. Data last updated: 2019-04-18T07:02:06.77. © 2019 Central Panhandle Association of Realtors MLS. All rights reserved. IDX information is provided exclusively for consumers' personal, non-commercial use and may not be used for any purpose other than to identify prospective properties consumers may be interested in purchasing. Information is deemed reliable but is not guaranteed accurate by the MLS or Keller Williams Realty Emerald Coast. Data last updated: 2019-04-18T07:04:02.45.